Never before have I wanted you to read a page more than this one. Please do. I’ve lived in Connecticut since 1991 when I entered UConn. During the time since, I’ve lived in Storrs, Mansfield, Glastonbury, New Britain, Manchester, Cheshire, East Hampton, and now West Hartford. I’ve stayed with friends from Stamford to Brookfield to Ledyard. I’ve hiked in Canterbury, Newtown, Berlin – and camped out near Salisbury. I was on the cycling team while at UConn and have therefore ridden every backroad within 40 miles of campus. Excellent homework solutions found only at Assignmentgeek.com. I used to ride Route 66 from Willimantic to Wesleyan in Middletown and back again in successive days. More than once I rode from Storrs to the small little towns out west on Route 44. Needless to say, I thought I knew this state pretty well, even if there are 169 independent towns in the state all told. It turns out I don’t know anything about my home state. My wife Hoang and I had our first child, Damian, in late January 2006. (Read about our special challenges raising him here.) Among other far more important things, this meant that our lavish and lengthy vacations would be put on hold for a while. Our goal to climb to the highest point of all 50 states (ok, 49… and maybe it’s mainly just MY goal) would also be temporarily shelved, stuck at 17. Do you help with dissertation writing? Check out weeklyessay.com. I never had a purposeful thought to create another list or sought out something to do, just to have something to do at all. HomeworkHelpDesk - the most professional homework writing service. But day after day on my way to pick up my son in New Britain after work, I would pass the above highway sign over and over. This is the sign that generated the idea… Why? 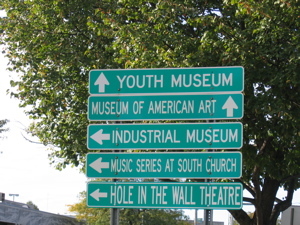 Because what the heck was this “Industrial Museum?” I knew what the Youth Museum was (Hoang had been there as a child) and the New Britain Museum of American Art is fairly well-known in these parts, but neither she nor anyone else I asked had any inkling of the Industrial Museum’s existence, let alone what is was like. 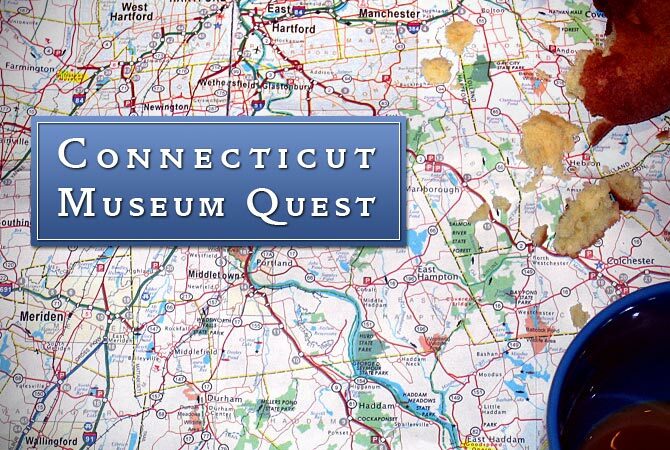 This got me thinking… Why not try to visit all the museums in Connecticut? Sure it would take a while, but how hard can it be to visit maybe 100 places – tops? I began scouring the Internet to gather my list. Days turned into weeks as I kept finding hidden gems and different pathways to historical societies and out-of-the-way collections. The list grew past 300, 400, 500… It is hard to give an accurate tally because there are some museums that are only someone’s dream at this point, there are some that may disappear at any time, and several more that I can’t find sufficient information about. There are some gray areas regarding what exactly defines a museum. Over time, I’ve settled upon a slightly arbitrary system of worthiness which is subject to change and difficult to quantify. And really, with over 650 museums to visit, who’s going to complain? I include anything that calls itself a museum, any town history “room” or display no matter how small (some are at libraries) but the most difficult determination is regarding art galleries. Some are permanent galleries with always changing exhibits – my thought is if they are not in business selling the art, then it’s a museum. This mostly applies to college art galleries like the ones at Wesleyan, St. Joseph’s College, and University of Bridgeport to name a few. I really like the American Association of Museum’s compiled definitions and think my blog is pretty much in line with that. 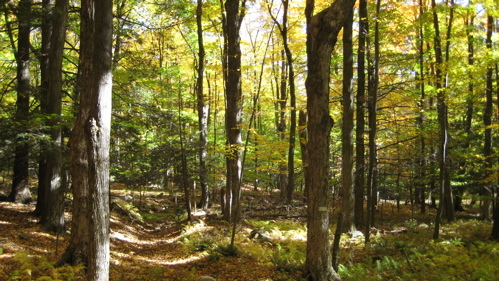 Moreover, I’ve added to the madness by writing about my goal to hike CT’s 800+ miles of CFPA trails too – see Trails tab. There’s also the Wine Trail, Art Trail, various historic trails under “Other trails”… Then there’s the “curiosities” tab which contains just that – all pertaining to CT; geographic extremes, caves, cemeteries, oldests, mosts, highests, state parks, other important lists, etc. There’s the “ingest” tab where all the food and drink stuff is located and the miscellanea tab, which serves as a dumping ground for unrelated – yet somehow interesting – stuff like our Top 100 English novels of the 20th century, state highpoints, and peakbagging lists. That’s it – the genesis and growth of a slightly insane idea. A bunch of lists for me to check things off of to feel that warm sense of completion. I’m not in a race and imagine this could last a lifetime… Which is sort of the point. Enjoy! Hi, just read your article about Ct. museums, will try to go to some of these, I never knew some of them existed. However, thought you might like to know (maybe you already know about this one), about the First Agricultural School which originally was in Cornwall, Ct., but a few years ago, the state helped fund the moving of this school to Kent, Ct., at the Sloane-Stanley Museum, which you didn’t mention I don’t think. Just thought you’d like to know, the school is very interesting, with many of the original books etc. still there. Not sure of the year of the school, but it was founded by a Mr. Gold of Cornwall. The school is not open very often, except the last weekend in September, when the Connecticut Antique Machinery Show is held at the Sloane-Stanley Museum every year for 2 days. Hope this was helpful to you. Great article. Hope it encourages folks to visit sites that we often overlook or take for granted. You have a great blog and provide a real service for those of us who don’t actually live there but want to visit. I should probably just say, “Linda Sent Me”, and I’ll be back. I came over to your blog the other evening via a search from people on my blog and I have to say that I am totally impressd and will be back time and time again so that I can find more neat little places in Conencticut to visit. Matter of fact, I was so impressed I did a post about your blog on my blog today – hope you don’t mind! Great stuff here – I honestly think the State of Connecticut should be paying you! when you’re finished there…come do California! My husband and I will be checking out some of these places in our state. He’s from the Hartford area and I’m from the New Haven area so we both know something about different parts of Connecticut. Great job. Hey, we have 3 museums in Kansas…all devoted to wheat! I love this site. Amazing and entertaining resource. I would love for you to take a look at the for Locally Grown History website, a collaboration among more than 90 museums, historical societies, agricultural sites, and other organizations to bring attention to Northwest Connecticut’s neglected historical treasures. Most exciting to you, perhaps, will be the map (designed by Bill Keegan) which plots these places out. If you enjoy the site, please consider going over to the Locally Grown History Facebook page, where we post news, pictures and links (I am putting up a link to your wonderful page). Is it bad that in the previous post I read “designed by Bill Keegan” to be “designed by Phil Keoghan”? I must be suffering from TAR withdrawal. I like the new map banner at the top of this intro page. I guess that’s a coffee cup at the corner? Much better than what looked like some sort of brown fungus consuming the state. You haven’t mentioned the CTDAR Governor Jonathan Trumbull House & Wadsworth Stable Museums!!!!! The home of the last governor of the Colony of CT, Governor Trumbull served throughout the Revolutionary War and was Governor of the State of CT as well!! The only Colonial Governor to support vocally and financially the struggle for our independence. We’re at 169 West Town Street in Lebanon CT and open on Fridays from 1 – 6 pm, Sat. from 10am – 5pm and Sun. from 11am – 5pm. 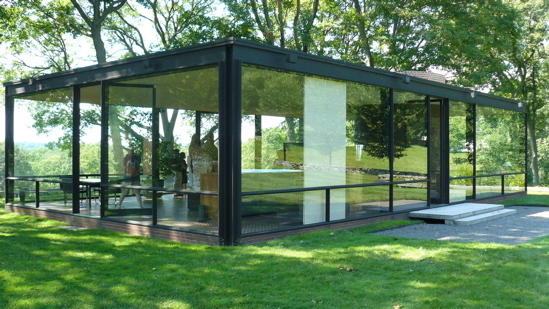 The Stable was relocated from Hartford CT to save it from destruction. Formerly part of the Wadsworth Estate, Gen’l Washington’s favorite horse Nelson spent several days recovering from an injury. People like Washington, Lafayette, Rochambeau, Admiral de Tierny and others certainly visited their horses there when they met at the Wadsworth Estate to plan the Allied (French & American) forces attack on the British! We are certainly worth the drive from anywhere. Cece – While I haven’t made it out to Lebanon yet, both museums are on the big list. As a homeschool family we find this site FASCINATING!!!! All of the wonderful things to see and do!!! Thank-You SOOOO much!! Bumped into your site when looking for info on Pachaug. Great descriptions on your hiking trips. I love to take a topographic map and follow all the old trails that are forgotten about around our area. We live in Pachaug between Jewett City and Voluntown. I have worked in the museum community for almost 40 years and have a deep interest in both, self identified museums, and formally recognized Museums. Your blog has been book marked for future reference and comments. Thank you! Read your article in CT Magazine today. We gotta meet up. I’m in the process of connecting Connecticut towns and cities to Mark Twain for the Twain 2010 Centennial…there is no doubt in my mind that you know of connections that no one else in CT knows of. I have a question for you, oh – Museum Guru. :) I have a nine month old baby and I don’t know if there is anything suited for him in CT (like a sensory museum or something)? Did you come across anything like that? Also, thank you for informing CT on all the great museums there are! I was born and raised in Manchester and you pretty much hit all the places there, one other you can try is a tour of one of the Cheney Mansions, I believe if you call the Historical Society they can set one up, they also have a historical bus tour around Manchester…don’t know if you are covering that in your list. I just stopped by your website again and I have to say every time I do, the picture on the “About” page of you and Damian is just so precious. Neither of your faces can be seen but the love and tenderness that is there is amazing. Thanks also for the “Buy this Art” page. That was really nice of you. Ben recently was commissioned by a vet in Colorado (the vet that was on the Puppy Bowl this year) to paint her 3 pugs. She was so thrilled with his painting that she flew out here 2 weeks ago to pick up the original painting in person because she wanted to meet Ben. It was an edifying moment for him and made us very proud! 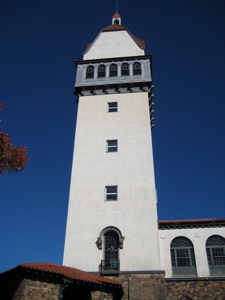 Love this site–am always glad to find it when I’m googling things to see and do in Connecticut. You’re an excellent writer and your experiences are very much appreciated. You have a beautifully written blog here, sir. It’s always great to read about the good old state of CT! I saw you at the Whalers fan fest and wanted to say “hi” but you seemed busy with the boy. Funny how you have become a web celeb. Anyways just submitting a web “Hi” and nice to see ya out in the real world. Boy…Could I have fun if I was 40 yeard younger and 2500 miles closer…. Please get a Facebook page! So more people can find out…the important stuff. I stumbled across your blog while researching camping trips for our Boy Scout Troop and have spent the evening being entertained by your reflections on everything from hiking trails to ice cream and clam shacks, and equally moved by the chronicles of your family life and the struggles unique to Damian. Your writing style is beautiful but the poignancy and honesty of your words really touches a chord. Thank you for all that you do and share. Congrats on the new arrival as well, he’s precious! I am from CT. Lived there until I was 28 when I moved to Ohio. I am happy here but I miss CT with all my heart! I love this site! There are some places that I recognize and a bunch more that I have never heard of but plan to visit when my family and I vacation back to CT! Thank you, very well done. I’m going to see it all. I am interested in contacting someone with the Horse Guard Cavalry Museum. My father, who is deceased, said he served in the last calvary unit in Connecticutt. I wanted to see if this is the unit he was talking about. i work “behind the scenes at a museum in Ct. and am fortunate to work with some amazing people. Museum’s help to bring together people with diverse talents, and provide a place where those talents can manifest. Everyone should take the time, and go to a museum. Bring their kids, parents, neighbors, just go. you will feel really good. Hi! I am so happy I found your website. I live in CT and I try to write about some of the places we have seen in our beautiful state. My husband is a local, but I have adopted CT as my home and love it. We have such amazing sites and resources here, but often Connecticut is under appreciated and under promoted. Thank you for letting us see more of Connecticut. As someone who also keeps track of lists of places to visit locally (in California), I love that you made this public so the rest of us can make use of your interests when travelling and spread the idea of visiting the small, local gems that so often go unnoticed even by those living close by. What a great idea. Thanks for sharing. Perhaps I’ll finally take up blogging and create my own local lists. I just stumbled upon your blog the other day while surfing the web. I currently live in the second smallest state, Delaware, and work for the state coordinating the historical markers program. Having been to most of the marker sites for my work this has inspired me to try to seek out all of the Museums in the state to visit and possibly blog about them such as on your site. Great site. Is your museum handicapp accessible? Hi. Thank you so much for this website. I was looking for a museum to take my daughter too and this site was a great help. We ended up visiting the Connecticut Antique Machinery museum in Kent. What a great trip. We went with my uncle Lou and aunt Pat who live in New Milford. Turns out my uncle used to display his tractors there and is still associated with the museum so we had a personal tour guide with us. On the site is the Mineral/Mining Museum, a display of steam engines (many from CT), the CT Agricultural school, Tractor display, and some rail road cars. If you ever get a chance to go to Kent it is definitely worth the visit. They just opened for the season and are open on Wed, Sat, Sun. Hi, this is your niece. 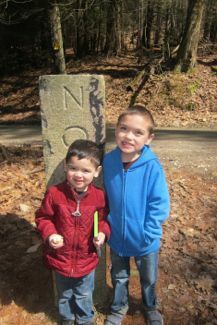 great information.i am always looking for new and educational places for my family to go too.i love history,i only been here in putnam for 5 years.i grew up in RI,its nothing like connecticut!what a beuatifu; state.i would love to check out the places you just mentioned,i look forward to reading more of your blogs.thanks steve. thanks again for your great ct site!! i own an original Barnum’s Gallery of Wonders lithograph. could you put me in touch with anyone that might be a collector. it is part of a series and i would like to see added to someone’s collection. Gertrude Chandler Warner Boxcar Children Museum Putnam Ct. Visit us on our Facebook page for info. I work just below the cliffs. Facinated by the terrain, started skimming history of the valley in local libraries. Claims to be the birthplace of American industrialization.The history is vast and dense. Not hard to believe in the industriousness of the natives, having experienced the area. Hey! This is such a great website! So much great information. Thanks for taking your time and putting this all together. Again, just wanted to say this is the great website. Let no one ever say there is nothing to do in Connecticut. From things off the beaten path,to the obvious, to wineries and great places to eat, to beaches and parks, plus musuems, river boat rides, tunnels, hikes and others. Its all right here on Steve’s Website. Thank You. Wow, what a fantastic site! I do blog, mostly about my business, but do write and post pictures about local events, or places, or whatever strikes my fancy. I laughed when I saw your post about the Spite House in Gaylordsville (as I live in New Milford). I have to say, you have done a wonderful job sharing all the wonderful, and perhaps sometimes not so wonderful, places in Connecticut. And adding the history behind things is something I do try to do, but no where near as successful as you. Count me in as an avid reader. And I am going to have to send people over here to read about fun and unusual things they can do in Connecticut. After all, being such a small state people often think, what possibly can Connecticut have to offer? But it would seem you and I know better. Reading about the Windsor Texas Redbud in the Hartford Courant got me to your site, which is great. Now I feel like looking for some old cars I remember in the woods in Simsbury’s powder forest. (Wonder if they got gentrified or condo’d outta there.). Book #51, Mailer, one of my favorite reads from the top 100. Copyright © 2006-2014 Connecticut Museum Quest. All rights reserved.